Secondwow - Top Tips for Buying Second Hand products online. Buying second hand can save you a lot of money! In fact, if you're willing to shop around, you could pick up a serious bargain. But before you rush out to find previously-owned items, there's a few things you really need to know. 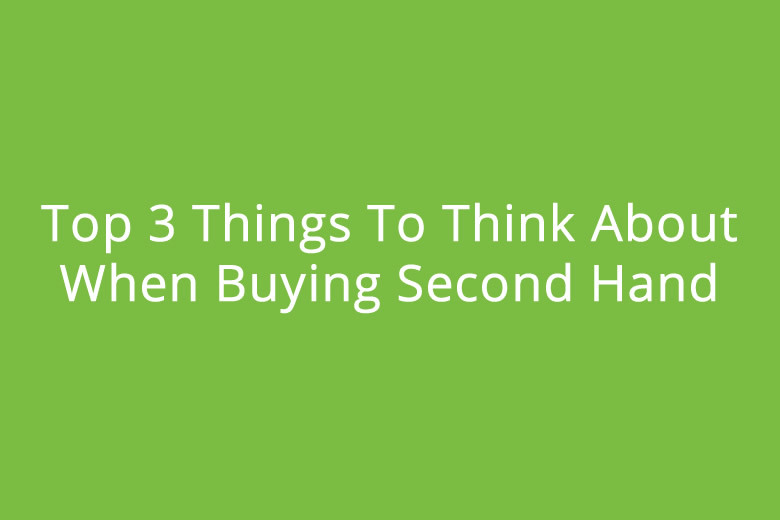 Here are the top 3 things to think about when purchasing second hand products. You will need to find out whether the original warranty for the item you are thinking about purchasing is still valid, or whether it needs to be extended. Although doing so will cost you more money, it could be in your best interests - especially if you are interested in an expensive electrical item like a TV or laptop. The best thing is to ask the seller before you make your purchase and find out what your rights are as a consumer. You will want to take a closer look at the item before you hand over your cash. Ask the seller if you are able to visit them to inspect the item, and look for any damage or wear and tear. This will all depend on the item you are purchasing. For example, if you are about to buy a second-hand car, make sure the upholstery is in a good state of repair, and the engine has no signs of damage (you can also check the vehicle's history and previous MOT online). Sometimes it's best to lower your expectations. After all, there's probably a reason why you're paying less than the same item brand-new. When it comes to clothing in particular, you should expect certain garments to be stretched or shrunk, although you will be able to make your own adjustments to leave the item looking as good as new (it might be as easy as replacing a button or zip! ).